Last night, in my five-hour bus journey from Chandigarh to New Delhi, I kept regretting my decision of drinking a glass of water. It was cold outside, everyone around me was sleeping and my bladder was bursting. As someone who has recently said her goodbyes to UTI (Urinary Tract Infection), I couldn't dare to use an unmaintained public washroom. Unfortunately, I had to wait until my destination. Most Indian women go through such situations every day. Ill-maintained public toilets, stinking spaces and overflowing lavatories are our worst nightmare, especially while travelling. Ulka Sadalkar and Rajeev Kher understand the everyday reality of our lives. 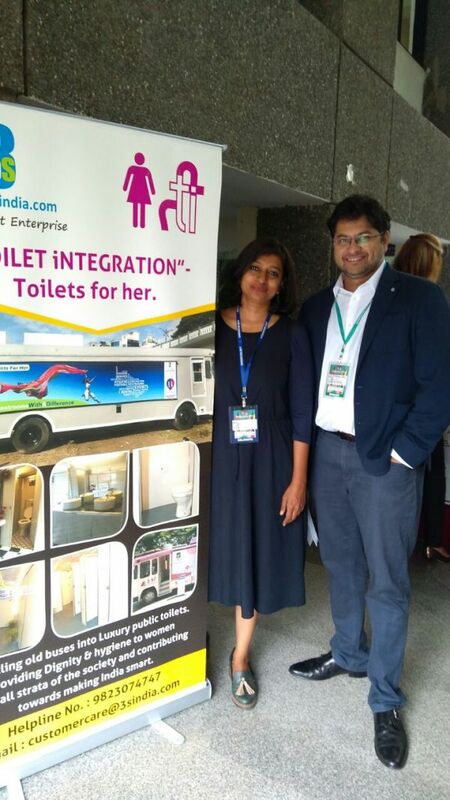 This Pune-based couple has realised the need for sanitation in our country; hence, they are making our Bharat swachh one mobile toilet at a time. With the help of Municipal Corporation of the city, Ulka and Rajeev have taken 13- to 15-year-old buses and transformed them into clean toilets with all high-tech amenities. "We read about the concept of turning old buses into restrooms for homeless people in San Francisco," says Ulka while talking about the inception of her concept. 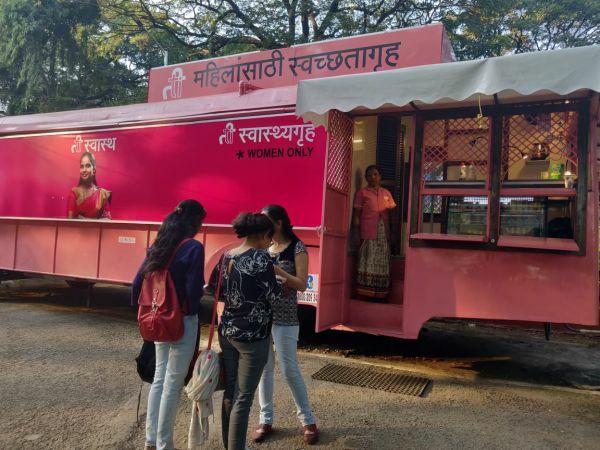 She further added, "In a brainstorming session with Pune Municipal Corporation in 2016, we decided to recycle the scrapped buses into restrooms for women." 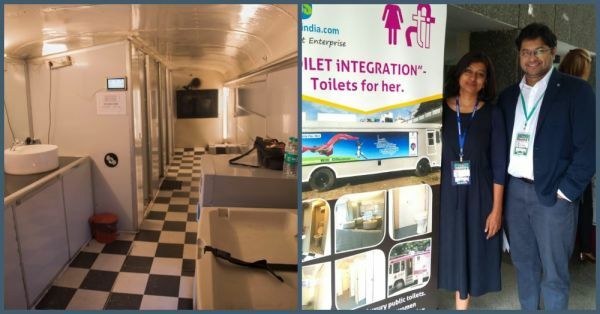 Ulka and Rajeev launched their first bus-restroom on October 2, 2016 and currently, there are 12 functional mobile toilets in Pune running on solar energy. 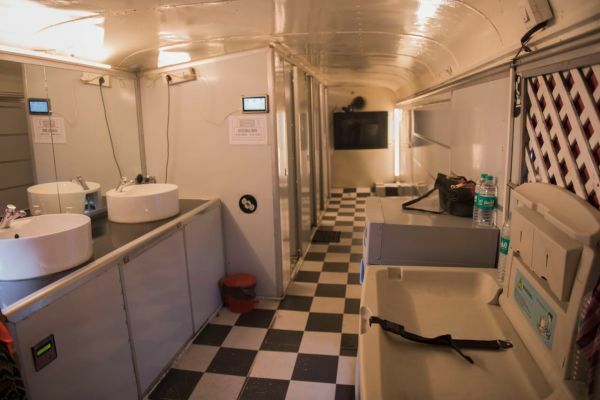 As per their stats, there are 5,200 spots in Pune where these mobile toilets would be made available. Speaking to POPxo, Ulka said that she has always wanted to set high standards of sanitation. "When people see clean toilets, they praise it without realising that it's not a privilege, but their right." While expressing her concern towards women's hygiene, Ulka said, "Women, during their mensuration cycle, go through a lot of trouble due to the lack of clean public toilets." Ulka Sadalkar also spoke to us about her experience with UTI and how it inspired her to make cleaner mobile toilets in Pune. She said, "We are so disappointed with unhygienic public toilets in our country that we don't even look for one when needed. In the case of emergency, we instantly start looking for a cafe or restaurant." These toilets are called 'Ti' which means 'she' in Marathi. Ti are equipped with all necessary amenities, including a full-time attendant per bus to maintain the cleanliness and to greet you, a technician who regularly checks the solar panels, sanitary pads for sale, western toilet, Indian toilet, washbasins, diaper changing area, breastfeeding area and a screen that plays video to raise awareness about female hygiene and breast cancer. Ulka wishes to expand the concept of well-maintained and hygienic mobile toilets for women countrywide. 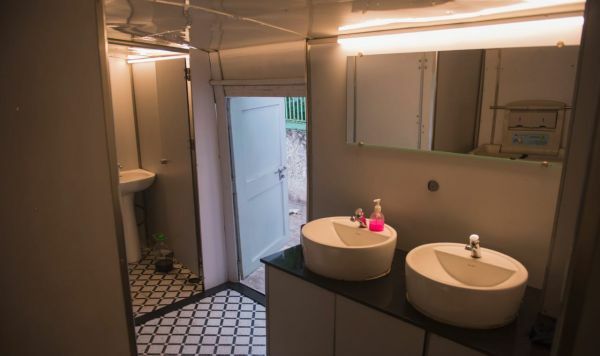 Her aim is to make these toilets self-sustainable. 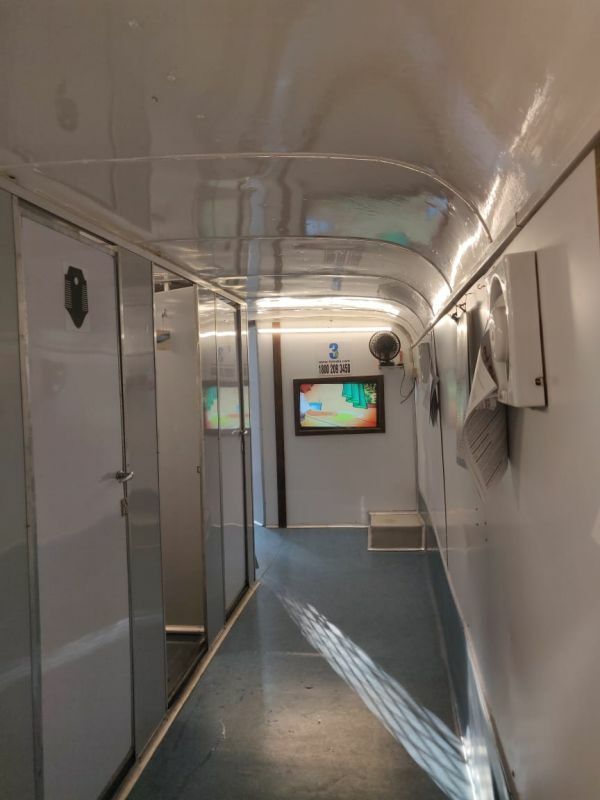 The restrooms are called 'mobile' toilets, but Ulka and Rajeev plan to keep them stationary as they want the women to know the exact location of where they can find one when they need to. "The real task is not to make the toilets, it is to maintain them. If you have constructed toilets and no one is there to maintain the hygiene, then they will get dirty," Ulka pointed out while talking about why public toilets constructed by the government aren't enough to make the country clean. Another bonus, a visit to these toilets just cost Rs 5, which is equal to or less than the public toilets often seen at bus stands and close to the airports. Earlier, these toilets were free of charge, but in order to make them self-sustainable, Ulka and Rajeev started charging the small amount. On average, one toilet sees about 150 women users per day and on busy days like a festival, the number rises up to 270-300. Ulka and Rajeev are entrepreneurs in the sanitation sector and run their sanitation solutions company, Saraplast. Their company provides mobile toilets for public events. The duo is planning to expand their mobile toilets (or health centres as they call it) and set up juice stalls and WiFi spots, so the areas can be of more service to people with lower income. Ulka is trying to find a more practical way for Ti toilets to survive on their own. Ulka Sadalkar and Rajeev Kher's innovative approach towards the most common problem of the country is commendable. We hope this brilliant idea keeps growing and soon we have clean public toilets all over the country.